Found this recipe on a internet search for "top recipe for crock pot baby back ribs" After reading all the 5 star reviews I decided this was the recipe I had to try. I love baby backs, one of my favorite foods. Of course like all comfort foods it's a once in a while treat for me. 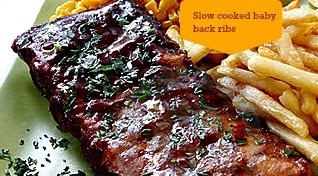 This recipe makes delicious falling off the bone ribs, only problem is I LIKE MY RIBS ON THE BONE! I made the mistake of cooking them on low and they just got to tender. I was told if i had cooked them on high they wouldn't have been so tender, and would have stay more on the bone. 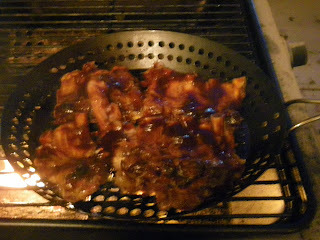 After slow cooking the ribs , the recipe then calls for brushing on the BBQ sauce and sticking them in the oven or on the BBQ for 10 mins just to glaze the sauce. But Omg! they were falling apart and I could barely get them out of the cooker. So my advice is cook on high and maybe ever so slightly under cook. 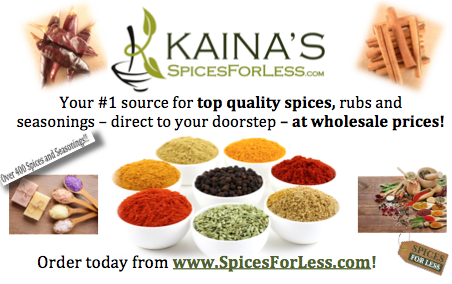 This is just a base recipe you can add any kind of a rub, replace the liquid with your own ideas such as beer, coke etc. You could even add a little liquid smoke to the recipe. "Cooking baby back ribs in the slow cooker all day, gives you the possibility of glazing with sauce and having on the dinner table within half an hour of getting home from work!" 1. Season ribs with salt and pepper. 2. 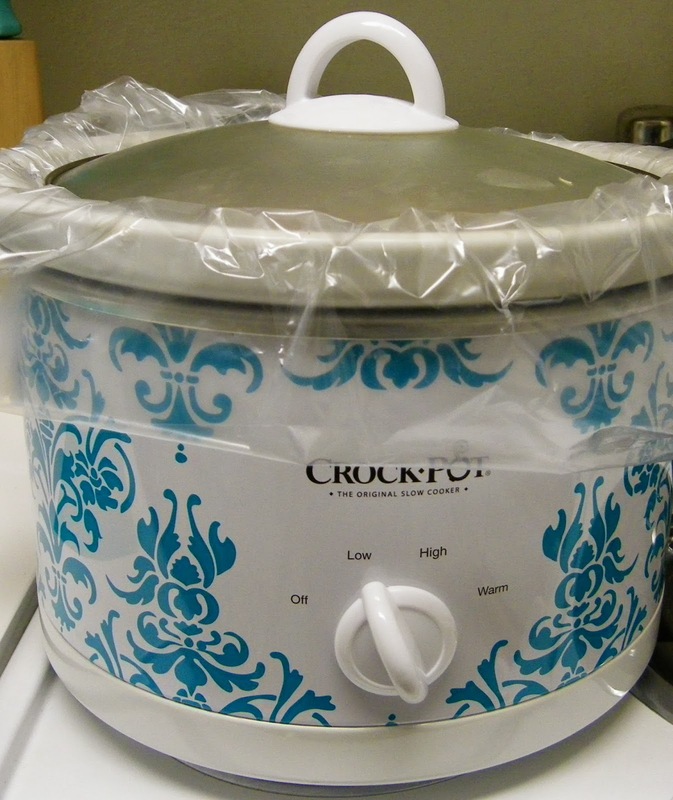 Pour water into slow cooker. Layer the ribs into the slow cooker. Top the ribs with onion and garlic. 3. Cook on High for 4 hours (or Low for 8 hours). 4. Preheat oven to 375 degrees F (190 degrees C). 5. 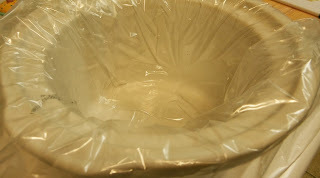 Transfer ribs to a baking sheet. 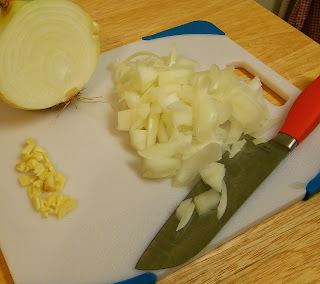 Discard onion and garlic. Coat ribs with barbecue sauce. 6. Bake in preheated oven until the sauce caramelizes and sticks to the meat, 10 to 15 minutes. when the ribs are done you'll need to transfer them to the oven on a baking sheet, mine were falling off the bone so i had to scoop them up with a spatula. I like my ribs on the bone so next time i will cook them on high, being careful not to over cook. I finished them off by put them on the BBQ to infuse the ribs with the sauce,and they just fell apart.. below is the picture. The ribs cooked this way have an amazing taste, but i hated the fact they fell apart so easily, i wasn't even able to turn them over to caramelize the sauce, this dinner could have easily turn into a big mess. The good news is nobody cared they all just loved them. LOL! The ribs look amazing. I have always had a believe that the messier the food is, the better it tastes. It happens to me a lot. They look fantastic ill give them a try ....im going to put a twist into them by marinating the ribs 24 hrs before cooking ...maranating them in a quarter bottle of Tenasse jack Daniels burben . Even better! Chris let me know how they come out.. I have got to take my crock pot out. I am missing all the wonderful slow cooker recipes. This one just makes me drool. I like my meat falling off the bones, though. Definitely one to keep in mind. Awesome recipe, thank you for sharing. Thank you for sharing at Tuesdays with a Twist! We're live again this week. Come on over and share what you've been working on!